If you need legal assistance regarding divorce mediation matters, contact us online or call us at (615) 800-7096 today for a free consultation with an experienced attorney. 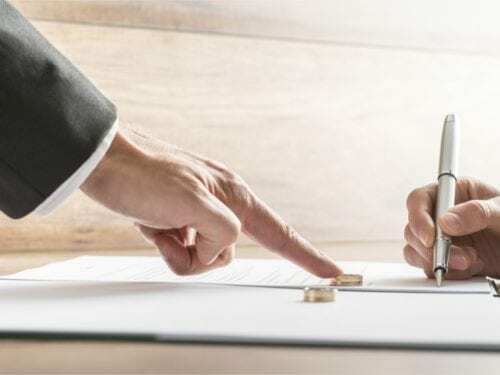 The Nashville divorce mediators at Martin Heller Potempa & Sheppard, PLLC can help divorce couples resolve as many issues as possible before lengthy proceedings are necessary. Our attorneys are dedicated to making sure all parties reach agreements with which they are comfortable moving forward. We also represent people in Franklin, Cool Springs, Bellevue, and Belle Meade, as well as other communities throughout Davidson and Williamson Counties. Mediation is a method of alternative dispute resolution (ADR) that is used to avoid litigation or trial when possible in a contested divorce. It is meant to save financial resources, as well as time and stress. Mediation involves a private, informal setting in which an impartial mediator helps facilitate an agreement between the parties regarding important issues such as the division of property, child support or custody, and spousal support. Everything said and done during mediation is kept confidential. Mediators are not permitted to disclose the discussions to the court, and they are only allowed to say whether or not the parties mediated in good faith and reached a settlement. A mediator cannot be required to testify in court unless both spouses sign an agreement allowing such disclosure. Under Tennessee law, all reports, documents, and other records provided by each spouse as part of mediation also remain privileged. When the party cannot financially afford the expense of hiring a mediator. However, the requirement still applies if the fee of the mediator can either be waived or subsidized by the state. It’s important to note that since the mediator is a neutral party, he/she will not be offering legal advice to either party. Instead, the mediator will bring both parties to reach an agreement on many of the contested issues. The process begins with the mediator placing both parties into separate rooms with their respective attorneys (who can provide legal advice during the mediation). The mediator will then visit each couple to negotiate a resolution on matters such as division of property, child custody and support, and alimony. When an agreement has been reached, all parties will enter into a binding agreement. The parties’ attorneys can draft these agreements while at mediation. According to Tennessee law, these agreements cannot be prepared by the mediator; only the parties’ attorneys can prepare the paperwork and filing with the court. If any party changes their mind or an agreement cannot be reached, the parties will then most likely head to trial where a judge will make the decisions for them. When you are facing a divorce mediation, you do have the option to have your attorney present during the negotiations. At Martin Heller Potempa & Sheppard, our lawyers know the ins and outs of the divorce laws in Tennessee. By joining in the negotiations, our attorneys will make sure you get a fair settlement. The Nashville divorce attorneys at Martin Heller Potempa & Sheppard PLLC have vast experience in guiding parties through mediation. If you need a mediator for your divorce, please contact us today for more information.